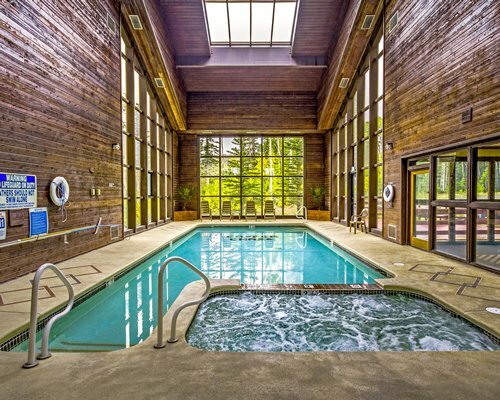 Copper Chase Condominiums, features a heated indoor glass enclosed pool pool / Jacuzzi, fitness center, men’s/women’s locker rooms w/ dry-sauna and showers, and guest lounge with TV, fireplace, foosball, and ample couch seating. 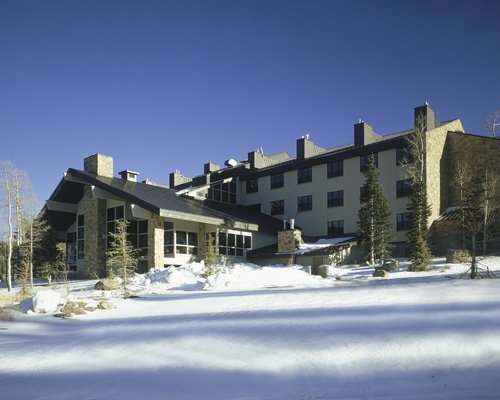 Ski in/out is available when the ski resort is open during the winter months of November through April. 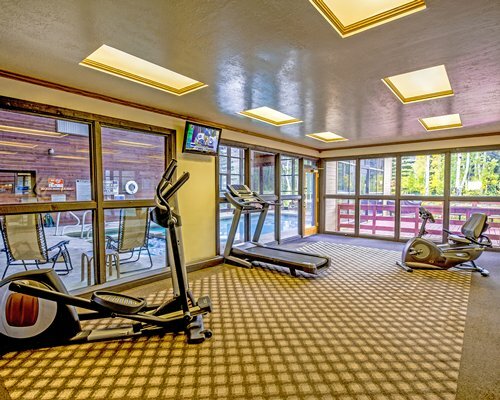 Note: Each Condominium is individually owned thus interior décor and amenities will vary by unit. The nearest major airport is Las Vegas International, 214 miles away. From the airport, go north on I-15 about 200 miles to Utah exit 75-Parowan. Follow exit 75 to Main St, turn left on Main St for .5 mile then turn right on Hwy #143 for approximately 12 miles to Brian Head. Go south on Hwy #143 to Ridgeview Drive. 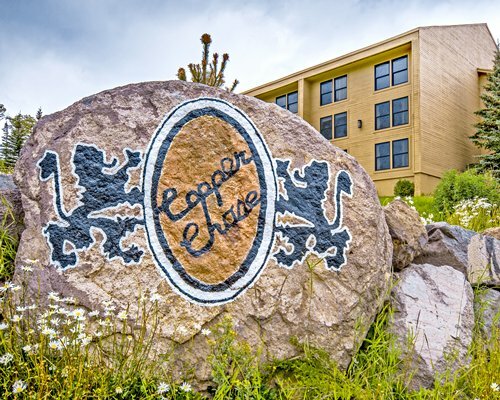 Copper Chase is .5 mile at 150 Ridgeview Drive. 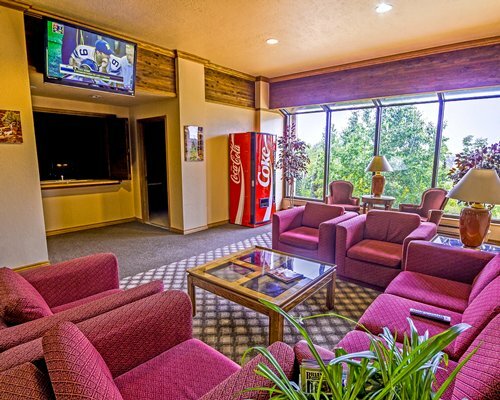 There is also a commuter airport with car rentals in Cedar City, 31 miles away. Fee for Studio (per stay): Housekeeping fee for all RCI weeks reservations: There may be a fee of 75.00 U.S. dollars for Studio, per stay. Cash or Credit is accepted. 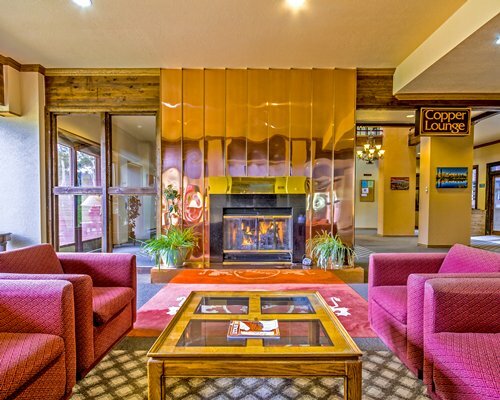 Fee for 1 Bedroom units (per stay): Housekeeping fee for all RCI weeks reservations: There may be a fee of 85.00 U.S. dollars for 1 Bedroom units, per stay. Cash or Credit is accepted. 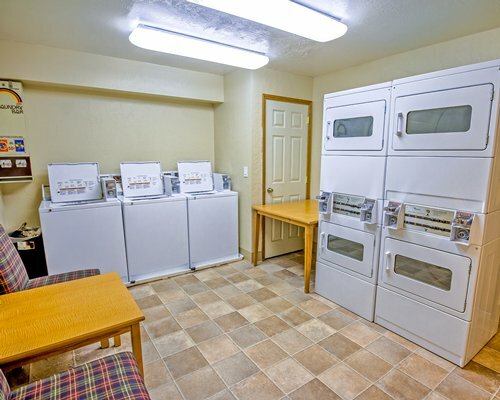 Fee for 2 Bedroom units (weekly): Housekeeping fee for all RCI weeks reservations: There may be a fee of 105.00 U.S. dollars for 2 Bedroom units, weekly. Cash or Credit is accepted. Check-in is at the reception desk in the Upper Building (#1). During the winter months (when the ski resort is open), there is a FREE town shuttle that provides local transportation. There are two separate buildings. Bldg. 2 (lower building) no elevator. Bldg. 1 (upper building) has elevator but 3 stairs still required to access unit. Only studio units have elevator access. Elevation to 10,000 feet (3,000 Meters). 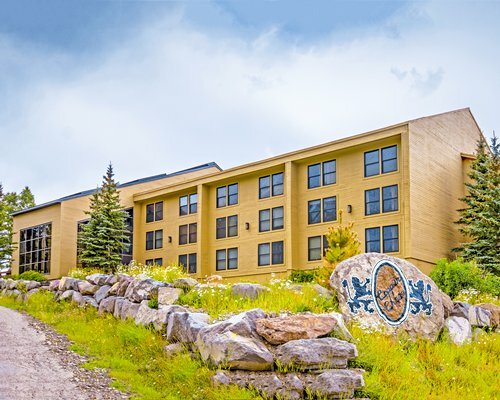 Anyone with heart or respiratory disorders, or those with history of altitude sickness may not wish to book this resort. There may be NO local restaurants open from Mid April through May. Cars with tire chains or 4-wheel drive vehicles with snow tires are required between Nov.1 &amp; May 1. Children under the age of 5 years old are NOT permitted in the Jacuzzi per Utah State Law.